That’s even if the person wearing it is reduced to radioactive cinder. 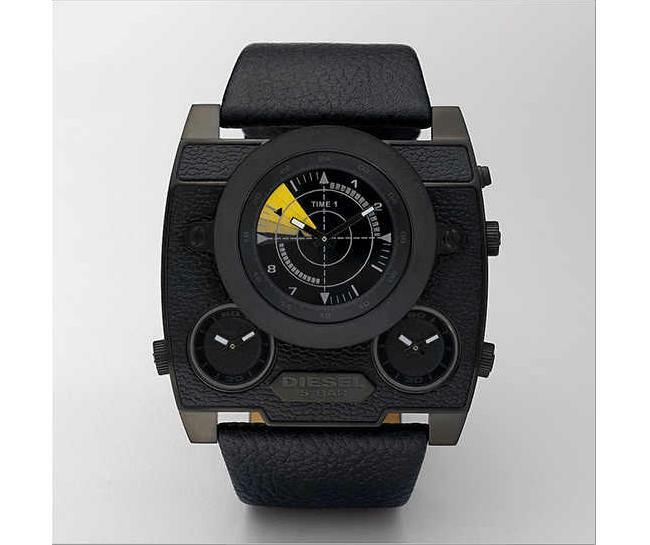 When it comes to engineering large complex wristwatches, no one comes as close to total awesome as Diesel. They put more dials in a watch than most airplane manufacturers put in a cockpit. Okay, that was a little exaggerated but our point was Diesel watches usually look much better suited for tasks other than telling time. The Diesel SBA Black Out is water resistant up to five atmospheres and looks like it can be run over by a tank without serious damage. Needless to say, it’s a tough cookie. You can probably bash hipsters with it. Not that we’re advocating violence; just keep in mind Diesel is a brand that is best suited for those who perceive themselves as bad asses. It doesn’t say on the product page if it shoots lasers, but if it does, that would be real sweet. The SBA Black Out is currently selling for a generous $250.